The Smithsonian's American Art Museum and Portrait Gallery share the building that used to be the Old Patent Office. Climb the stairs to the second floor and you will find yourself in the middle of the Great Hall, which retains its High-Victorian splendor. 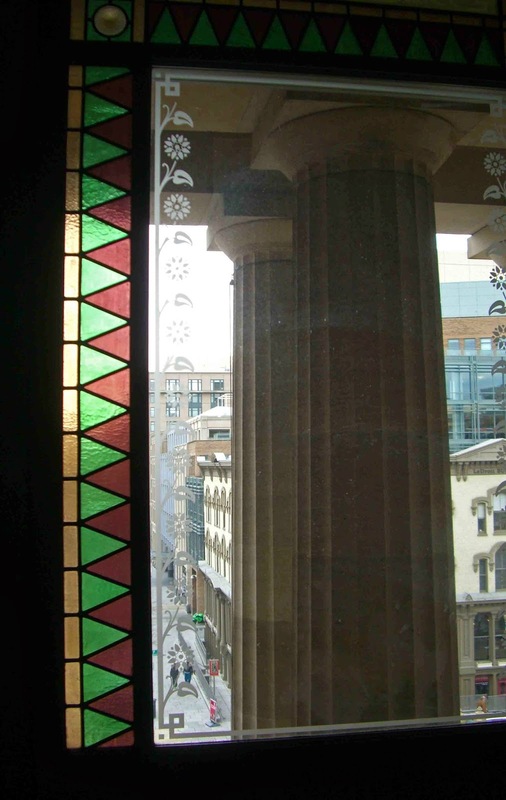 I love to look out of the etched and stained glass windows, which are at eye level with the columns that line the south entrance. Miniature people scurry up and down Eighth and F Streets, going in and out of carefully restored buildings that have been there since Lincoln's time. Offices of glass and steel now occupy parts of these same city blocks. What would the long-gone residents think of their neighborhood now?